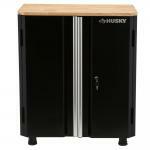 The Husky 2-door Base Cabinet is equipped with a sturdy wood worktop, providing a flat surface on which to perform a variety of operations, maneuvers and other delicate procedures. 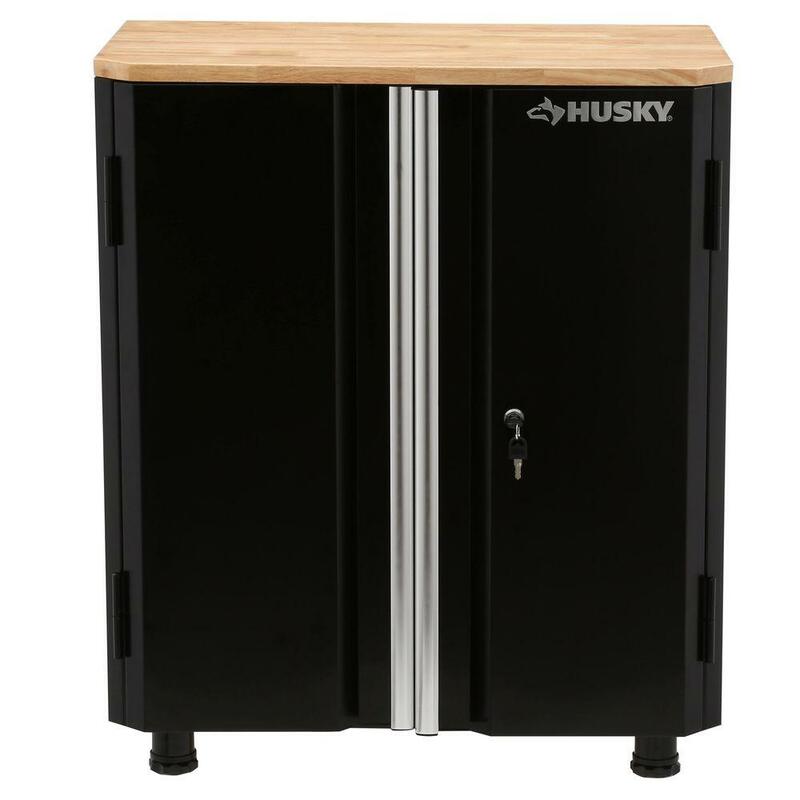 The floor of this heavy-duty steel cabinet serves as one storage platform while one adjustable-height shelf offers additional space for stashing tools, shop supplies, household goods or other prized possessions under lock and key. Pegboards line the interior of the double doors, providing extra organization options in your garage, pantry, workshop or basement.